Category Archives for "Resin Articles"
Casting resin molds are used for making a specific mold of an object you’d like to replicate or display. Resin is then poured into the mold in order to replicate the mold’s exact shape. This then makes a 3D object you can display wherever you choose. You can use casting molds to make just about anything! Many people make a mold to fill the resin and then submerge meaningful objects into the resin in order to preserve and display them. You can also make a replica of an object and spray paint it or add dye to make a beautifully artistic piece. Art N Glow Resin even makes glow-in-the-dark pigments you can experiment with! 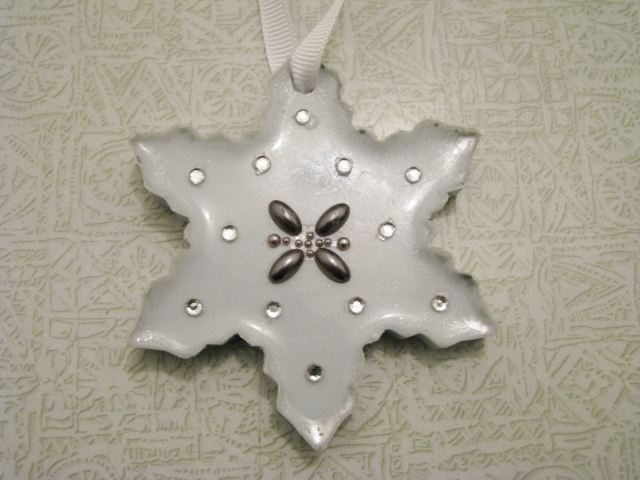 One of my favorite uses for resin casting molds is to make Christmas ornaments! Fill the ornament with glitter, a snowman, or a family picture and then hang it on your tree for years to come! Casting resin molds can be purchased or made by hand. There are many types of molds you can choose from in order to suit your project. Flexible molds can be made of many different materials including latex rubber, silicone rubber, and more. Many casting resin experts use glass containers and leave their product inside to be enjoyed. This is a beautiful option that adds extra protection for your project. One of my favorite projects is using a small glass container to display some tiny objects and leaving enough room for a tea light on top! If you choose to make your mold yourself, it is important to ensure you have all the materials you need before starting. You’ll need some casting resin, mold putty, the item you want to replicate, a razor blade or x-acto knife, and a timer. While most molds are made the same way, it is ideal to follow the directions on your mold putty box in order to properly use the product. When you begin to make your mold, you will quickly find that it turns into a putty or clay-like material. After you have your clay, you will mold the clay around whatever item you have chosen to replicate. Be sure to push the clay into the item filling all air pockets and evening out the clay. This is very important to ensure your mold won’t create any weird bumps or abnormalities on your finished product. Then, you’ll let the clay sit and harden for about an hour. Keep an eye on your timer so you know when to continue the project. Next, you will use your blade or x-acto knife in order to cut through anything that folded over onto the backside of the item you molded. Be careful during this part. It is easy to slip and cut yourself or cut your mold in the improper place. Make sure you have a steady grip and think about every slice in order to make your mold exactly how you need it. Then, very slowly and carefully remove the item you have just molded. Now you have your casting resin mold! You will then pour in your resin and follow the instructions on your product. After that, you will have a beautiful, replicated item from your very own mold! If you are purchasing a mold, it is pretty easy to use. Be sure to read any directions on your mold first to ensure there isn’t a special treatment that your mold needs before pouring your resin. 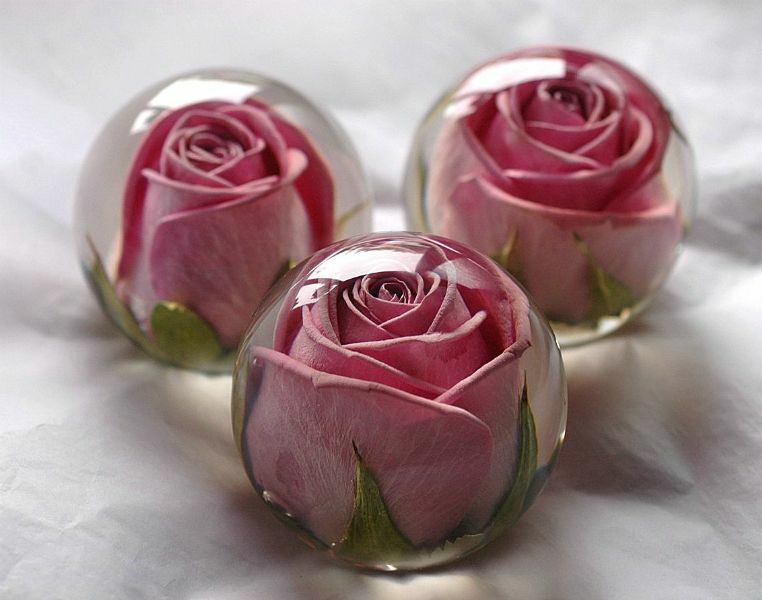 You can find molds in all different shapes from simple squares or globes to flowers, rings, chess pieces and more! It is easy to find a very specific mold by simply Googling it. Sometimes, it is fun to simply look through different options for molds in order to get inspired to create a new project you’d never thought of before. 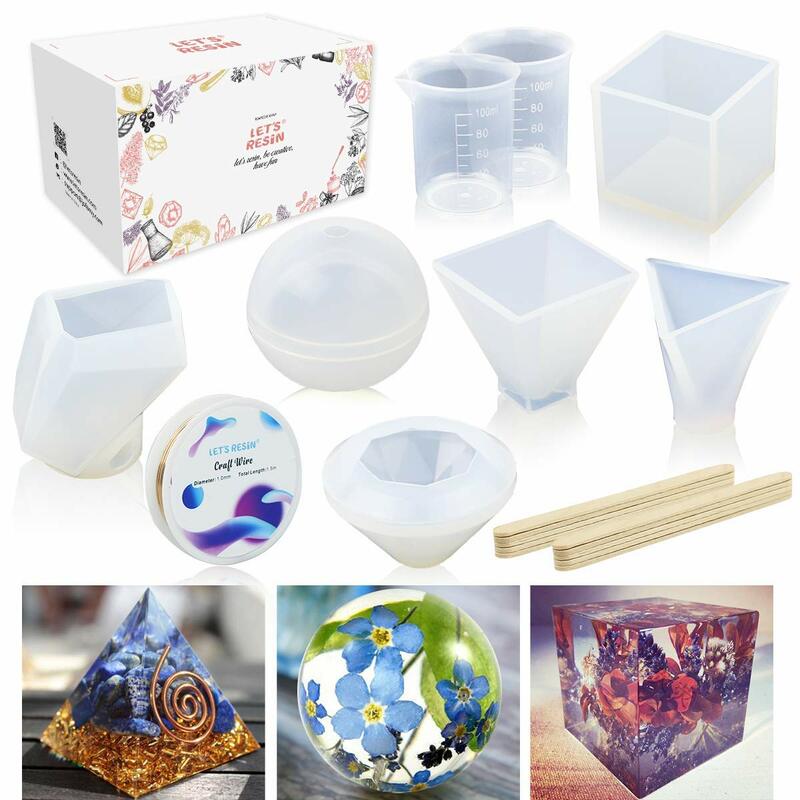 Resin molds come in a lot of shapes and sizes for many different prices. Most are pretty affordable with basic ones starting in a pack for around $10. There are also huge kits that come with tons of different mold shapes, pipettes, blades and more for about $20. You should be able to find the mold you need for a pretty small price. 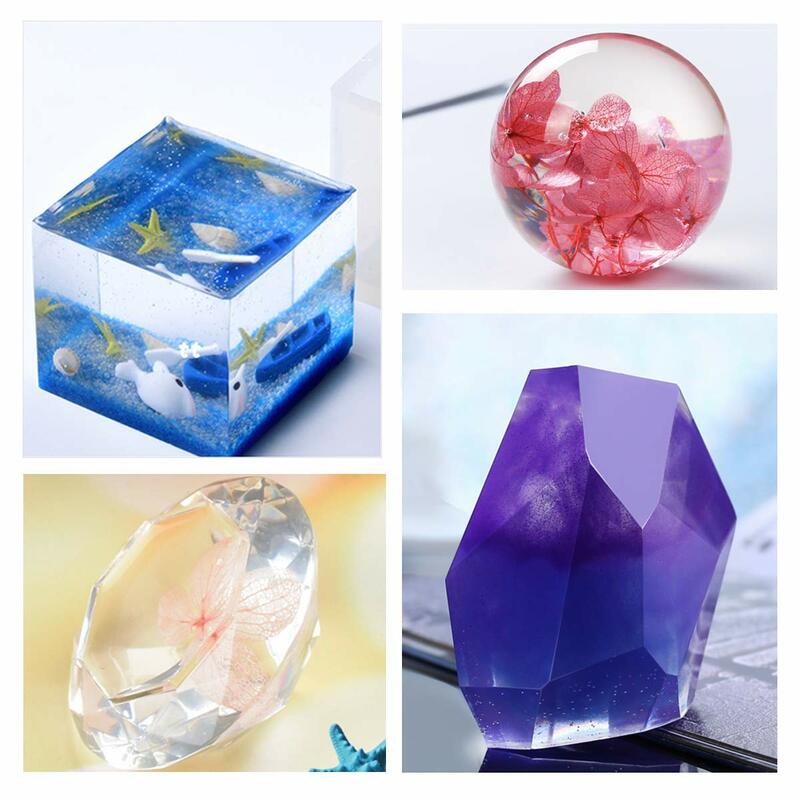 Obviously, you will find some that are more expensive and less expensive than these prices, but overall you can expect not to spend too much money on molds for your resin! However, it might cost less to simply make the mold yourself which is ideal if you already have an object in the shape of the mold you need! There are many places to purchase casting molds as well as the product needed to make your own. Target, Hobby Lobby, Michaels, and Walmart all sell premade casting molds as well as casting mold putty. If you are looking for a very specific type of mold like an animal or car, then I would advise ordering online. Amazon and Etsy both have tons of options for casting molds available, enabling you to easily find exactly what you are searching for without wasting any gas! Resin casting is a fun, unique project for all ages. While it can sometimes be difficult, it is very rewarding once you get the hang of it. It is a great way to preserve meaningful items or to simply try a new craft. Get creative, and make your own resin casting mold and project today! Clear casting resin and table top epoxy are both very popular for encasing and suspending memorabilia, furniture, and more. They are quite similar in most ways; however, it is important to know how to use these two products properly for different projects. If they are used incorrectly, you risk ruining the item you wanted to preserve forever! Many people use clear resin, such as EasyCast, when trying to encase a product or piece of memorabilia. Clear resin is a type of polyester resin which is perfectly, crystal clear. 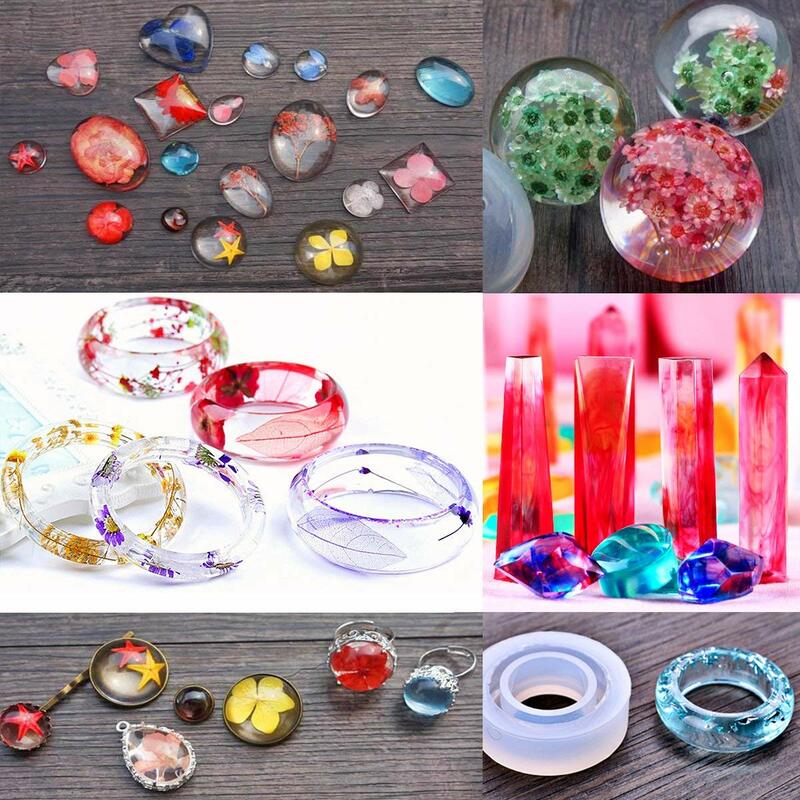 Clear resin can be dyed to another color in order to have a slight hue, but it will remain see-through. Make sure to only use dye specifically made for polyester casting resin. 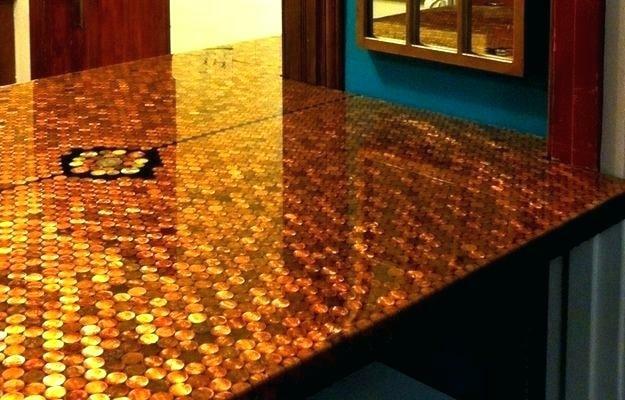 Often times, people use resin to encase things like coins, dried flowers, marbles, glitter and sequins, or insects. Fabric, wood, and photographs can also be sealed with resin, but first use a resin glue or sealant before applying the resin to ensure the color will not be distorted or tinted. Table top epoxy resin can also be used for similar types of projects, but it is meant for thin pours. It is preferred for pouring over flat surfaces such as table tops, bars, or other flat items. 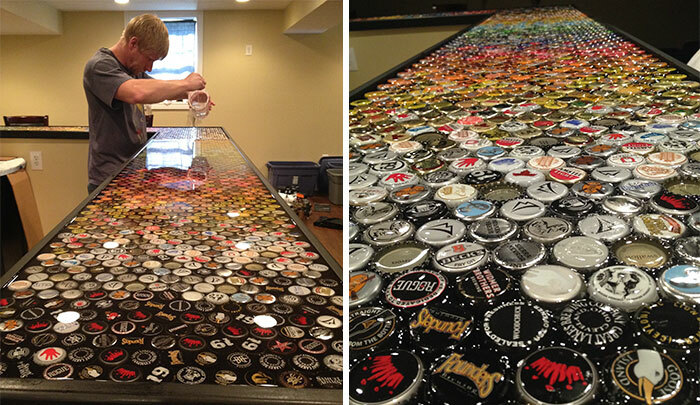 Many people use table top epoxy to encase bottle caps or pennies in their bar. You can also use epoxy for making memorable chairs. Try painting a wooden box or other furniture with acrylic paints, then pour table top epoxy to protect it and seal it forever! Users often enjoy adding colors or glitter to their epoxy in order to create even more beautiful displays. Clear casting resin needs a catalyst in order to properly harden. When the two are combined, they generate heat which then causes the resin to slowly harden. It is important to know how much catalyst to use with your resin. Increasing or decreasing the amount of catalyst, temperature, and dye can affect how long it takes for the resin to cure. Be sure not to add too much of your catalyst, this can cause the resin to generate too much heat leading to a misshapen or cracked cast. If you don’t use enough catalyst, your product may turn out slightly sticky. The curing process can take up to 24 hours, so be careful with your casting until it has completely hardened. If you are using a table top epoxy, choose it wisely. You want to make sure you grab a good epoxy that will not bubble up badly or end up cloudy. Double check the epoxy you are using is a self-leveling epoxy as well in order to avoid having to level it yourself and risk ruining the project. Be sure to always pick a UV resistant epoxy as well. This will ensure you don’t have to worry about it turning a yellowish color over time. One of our favorite table top epoxies is this one as it is super easy to use, crystal clear, and great for beginners. When using either of these products, you can use a variety of products as your mold such as oven-safe glass, rubber, silicone, or ceramic materials. Then, it’s time to start your project! Be sure to read the instructions for your epoxy or resin carefully and gathering everything you need before you begin. It is always recommended to cover the area you are working on with wax paper or another protectant. Also keep a rag and rubbing alcohol handy for any accidental leaks. For measuring and mixing, use a wax free paper cup. Do not use a cup you cannot throw away, because it will be ruined after your project! Do not use a Styrofoam cup either as that will melt away right in your hands from the heat of the mixture. If you are using table top epoxy, you can pour the mixture over the entire creation after it is fully prepared for epoxy. If you have made a bottle cap bar or something similar, be sure they are glued tightly to the surface. If they are not, they will float up and the project will have to be completely done over again. Epoxy also needs plenty of curing time so be sure to wait a full 72 hours before using your creation! Also note that table top epoxy usually can only be applied in thin layers, so be sure to check with the manufacturer for recommended thickness. 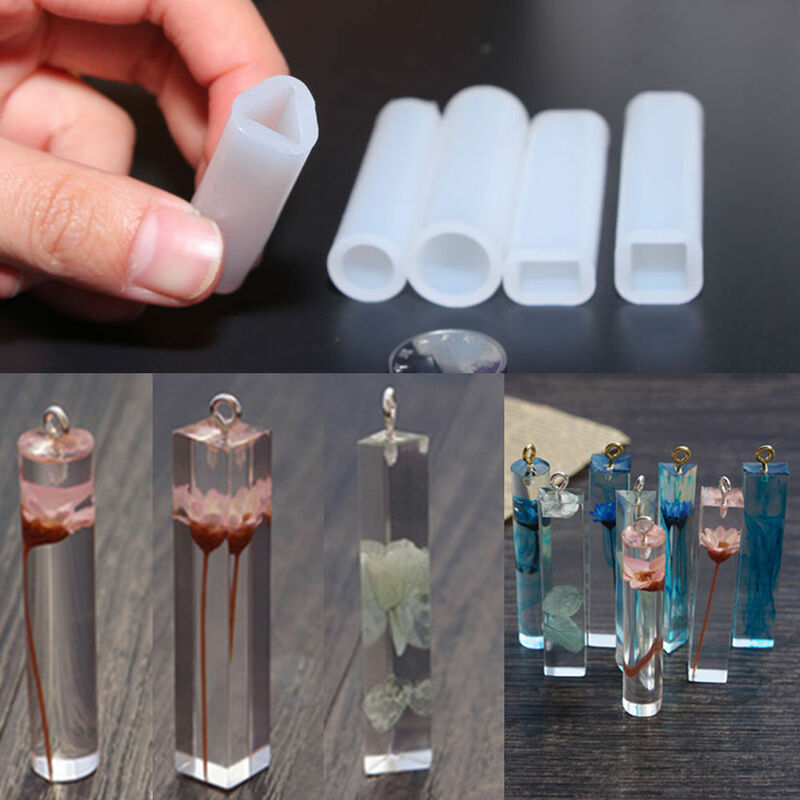 If you are using the clear casting resin, then you will pour one layer of resin and allow it to dry into a gel. Then, lay your cast piece face down into your resin mold. If it is a flower or another item that doesn’t lay flat, dip it into the second batch of catalyzed resin before laying it on the surface of your gelled resin. Then, pour your next layers of resin over top. Check your product after about an hour or two for hardness and tackiness. Do not attempt to pull your piece from the mold until it is completely hard and no longer tacky. If there are any fingerprints or other marks on your piece, spray it with a few coats of a resin surface spray. So, as you can see there are many similarities between clear casting resin and table top epoxy. However, they are definitely better suited for different types of projects, so it may be a good idea to consider which product will be easier to use for whatever project you have in mind. Some resins, such as Art N Glow, claim to be good for both coating and casting. Epoxy and resin can definitely be finicky or difficult to work with. Be sure to do your research and watch a few YouTube videos before attempting a new project. If your creation will be made of something important or valuable to you, I would definitely try giving a similar, unimportant job an epoxy coating and perfecting your skills before trying it on a sentimental or expensive item. Epoxy and resin can be a fantastic DIY project as long as they are given the time and attention necessary for your project to turn out shiny and beautiful! Copyright text 2018 by Clear Casting Resin.